NEW HOPE, Pa.--(BUSINESS WIRE)-- The Meet Group, Inc. (NASDAQ:MEET), a public market leader in the mobile meeting space, announced the launch of live video on LOVOO, its leading European dating app, in France and Switzerland. 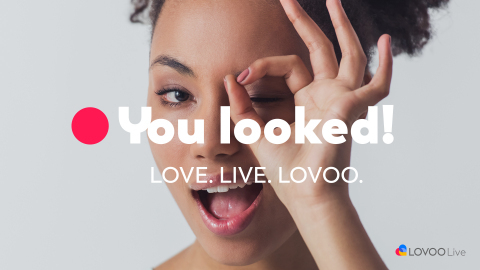 LOVOO Live enables users to broadcast and view live-streaming video, invite others to join their streams, chat, and earn virtual gifts, creating more authentic interactions and making it even easier to meet new people. The release of live video in France and Switzerland follows the launch of Live in Austria two weeks ago, where an average of 15% of users engaged with video on the first day. “Early Live data from France and Switzerland is good, with the average user watching more than 15 minutes per day and the average broadcaster streaming for more than 45 minutes a day, levels comparable to what we saw in the early days of video on our MeetMe app,” said Geoff Cook, Chief Executive Officer of The Meet Group. Certain statements in this press release are forward-looking statements within the meaning of the Private Securities Litigation Reform Act of 1995, including whether the early Live data from France and Switzerland will prove indicative of future data, including the average user watching time and the average broadcaster streaming time, the rate of gifting adoption on LOVOO in the future, whether we will continue to improve our video platform as expected, whether we can rapidly deploy features across our four apps as expected, whether we will roll out LOVOO Live on a country-by-country basis throughout the second half of 2018, with the next major releases being in Italy, Spain and Germany, whether livestreaming will play an important role in the future of dating, whether our users will continue to want to show themselves and their world, and whether Live will become an important new feature for LOVOO. All statements other than statements of historical facts contained herein are forward-looking statements. The words “believe,” “may,” “estimate,” “continue,” “anticipate,” “intend,” “should,” “plan,” “could,” “target,” “potential,” “project,” “is likely,” “expect” and similar expressions, as they relate to us, are intended to identify forward-looking statements. We have based these forward-looking statements largely on our current expectations and projections about future events and financial trends that we believe may affect our financial condition, results of operations, business strategy and financial needs. Important factors that could cause actual results to differ from those in the forward-looking statements include the risk that our applications will not function easily or otherwise as anticipated, the risk that we will not launch additional features and upgrades as anticipated, the risk that unanticipated events affect the functionality of our applications with popular mobile operating systems, any changes in such operating systems that degrade our mobile applications’ functionality and other unexpected issues which could adversely affect usage on mobile devices. Further information on our risk factors is contained in our filings with the Securities and Exchange Commission (“SEC”), including the Form 10-K for the year ended December 31, 2017 filed with the SEC on March 16, 2018. Any forward-looking statement made by us herein speaks only as of the date on which it is made. Factors or events that could cause our actual results to differ may emerge from time to time, and it is not possible for us to predict all of them. We undertake no obligation to publicly update any forward-looking statement, whether as a result of new information, future developments or otherwise, except as may be required by law.